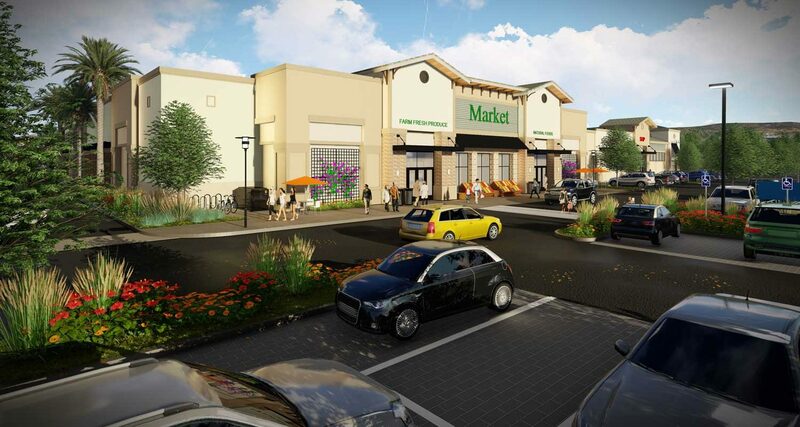 A 95,000square foot, neighborhood retail center with specialty grocery-anchored store. 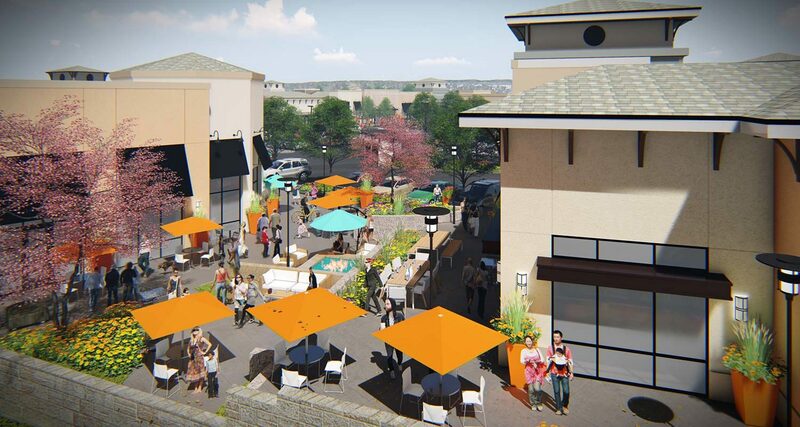 The 17.7 acre site will include 125 condominiums adjacent to the “live, work, shop” retail center. Features include a pedestrian-friendly main-street, outdoor dining with ‘tree tables’ an interactive children’s play area and shade structures.